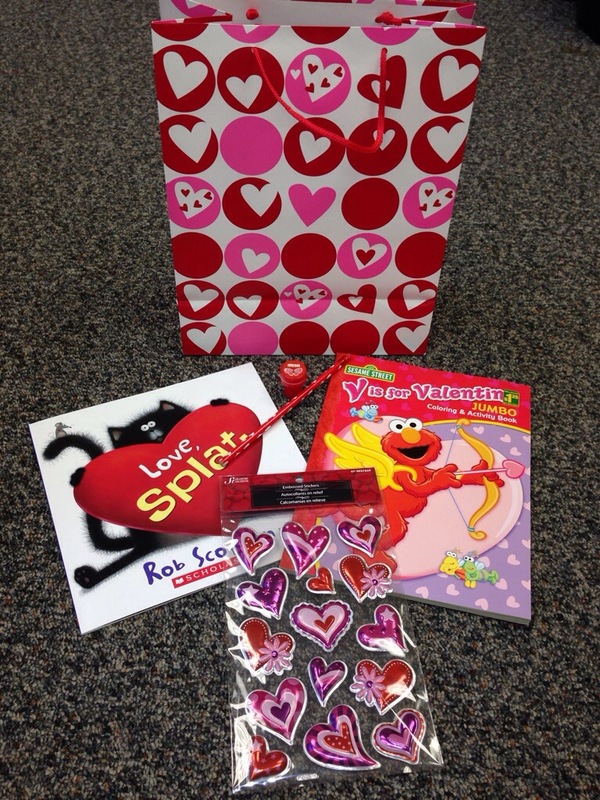 This week I had another literacy day so the kids were able to go home with some Valentine’s goodies. 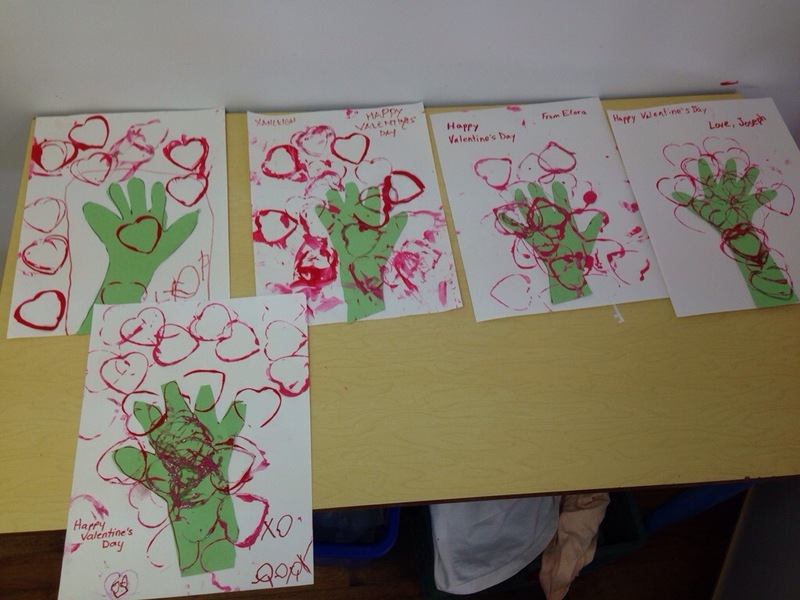 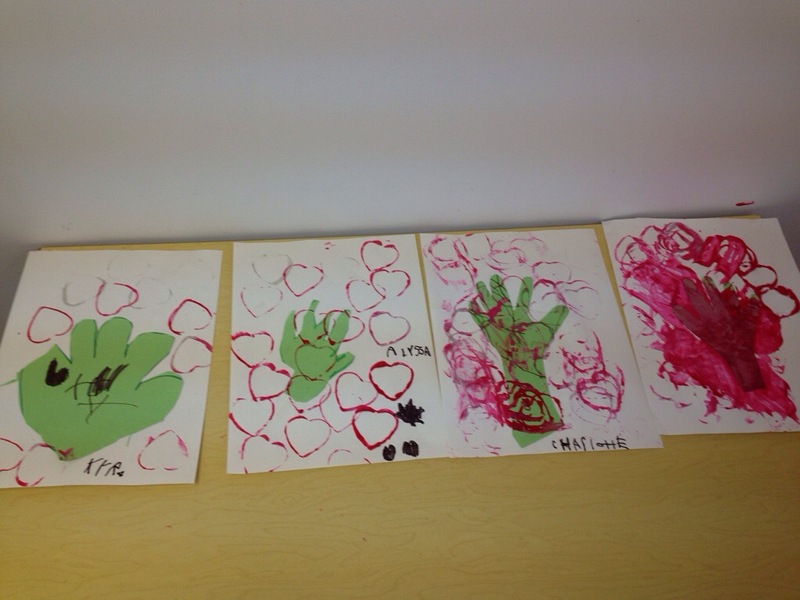 We made a heart “tree” for craft by tracing their hands and part way down their arm. 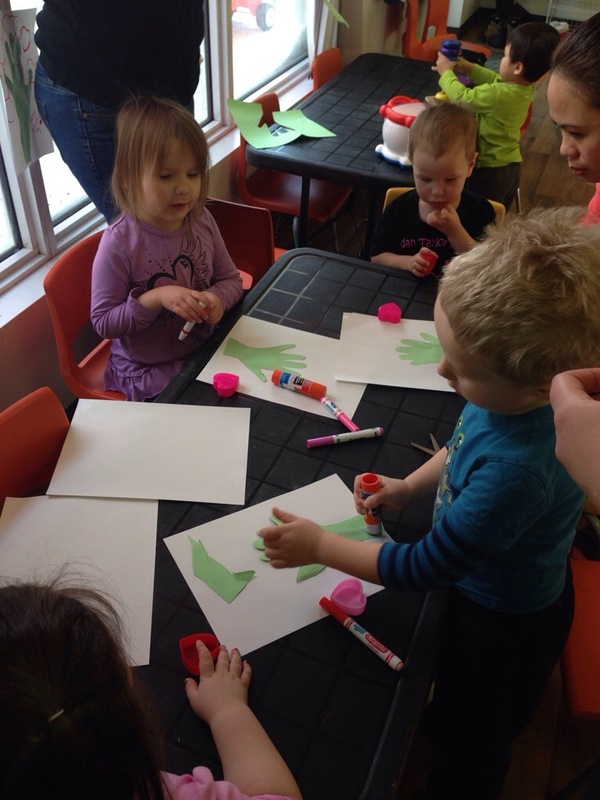 They then used heart shaped containers to stamp the “leaves” on.